Understanding the behavior of a pest is very important in developing appropriate control strategies. Information on feeding, host searching, migratory, and reproductive behavior of the invasive Bagrada bug is very limited in published literature. Since Bagrada bug is a fairly new pest in the United States, there is a lot to learn and understand about this pest. Here is a summary of observations about its feeding and reproductive behavior. Bagrada bugs are primarily attracted to cruciferous crops. However, the number of host species this pest feeds on or passing through is increasing as it spreads to different parts of California. In addition to various wild and cultivated cruciferous plants, Bagrada bugs have been reported to cause damage to carrots, corn, peppers, potatoes, tomatoes, and sunflower. In an earlier choice study where different host plants were offered, neither adults nor nymphs chose tomatoes when alyssum, broccoli, green bean, and wild mustard were among the choices (Dara and Dara, 2013). However, feedback from some growers this year indicated feeding damage to tomatoes (Dara 2014). Although damage was not confirmed, some growers and homeowners reported finding Bagrada bugs on citrus, fig, grape, and strawberry. During a visit to a home garden a couple of years ago, I noticed several Bagrada bugs on dried branches of wild mustard, although different cruciferous vegetable plants were in the proximity. Considering the ability of Bagrada bugs to move around easily, this observation suggests their preference for certain plant conditions. In a recent visit to a 4-week old broccoli field, Bagrada bugs and their damage was noticed only on small and weak plants. 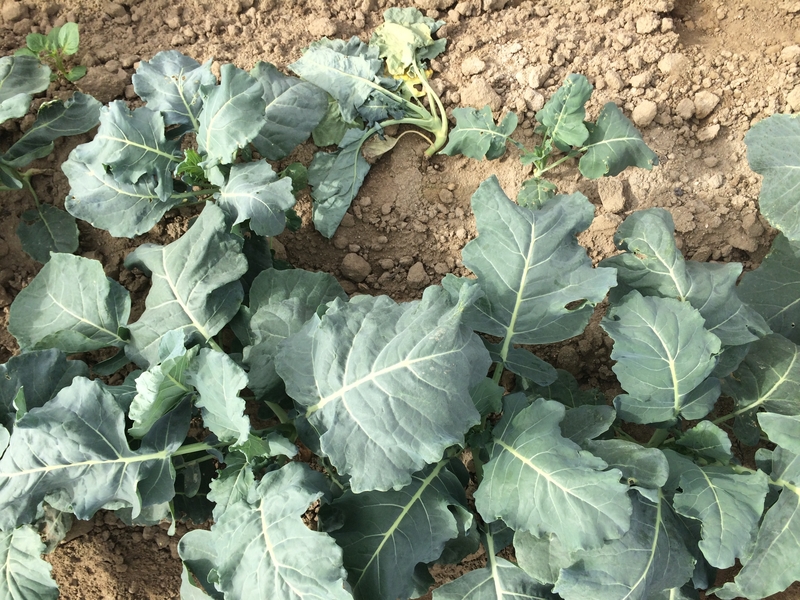 Heavy winds a few weeks earlier affected some plants which were significantly smaller than the rest of the plants and were breaking at the base with a slight touch. Similarly, in my lab colony, several bugs are frequently seen on relatively drier plant material although fresh plant material is also present. All these observations suggest that the concentration of plant juices could be influencing Bagrada bugs choice within a specific host. This could mean that maintaining good health of the plants through optimal irrigation and nutrient management is important to avoid weaker plants that could attract Bagrada bugs. Bagrada bugs are known to hide in the cracks of top soil during cooler parts of the day. 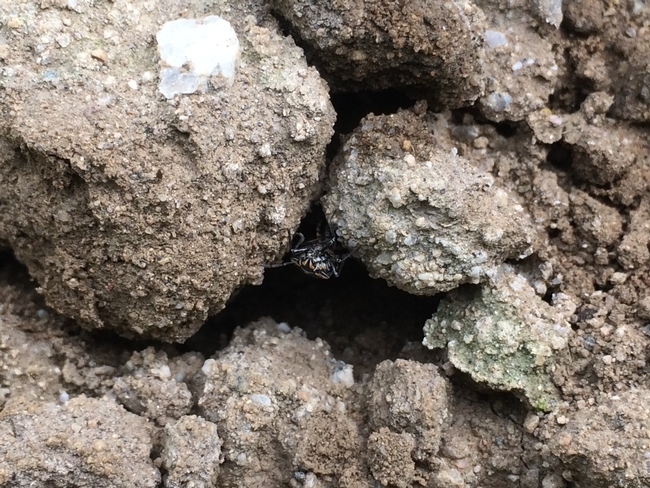 Even during warmer parts of the day, some bugs were seen in the soil. This behavior could be exploited by the use of entomopathogens such as Beauveria bassiana and Metarhizium brunneum, which are soilborne fungi. Applied through drip irrigation or as a foliar spray, these fungi can be introduced into the Bagrada bug habitat. Natural behavior of the Bagrada bug to dwell in the soil increases its chances of exposure to fungal inoculum. Although solar radiation might inactivate fungal spores on exposed plant surfaces, being soilborne fungi, these pathogens can persist in the soil for longer periods. Preliminary laboratory assays already demonstrated the potential of these fungal pathogens (Dara 2013). Based on laboratory observations, Taylor and Bundy (2013) indicated that Bagrada bugs preferred dry soil compared to moist soil to deposit eggs. While this might be the case when Bagrada bugs feed on wild hosts in uncultivated areas, cultivated crops are frequently irrigated and how the soil moisture influences their oviposition behavior in the field conditions is not clear. Earlier literature indicated that eggs are also deposited on various plant parts. 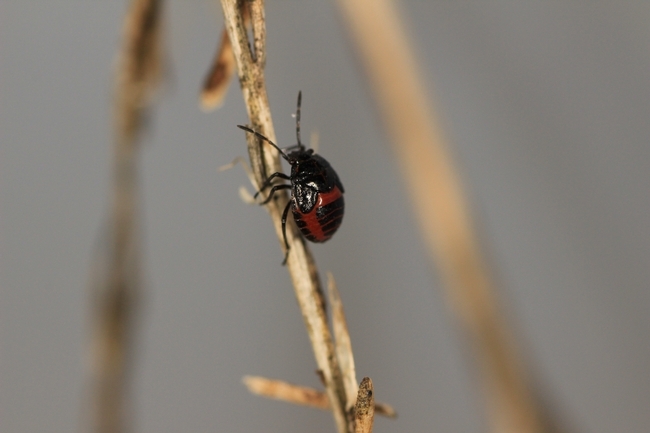 Whether eggs are deposited on the plant or in the soil, entomopathogenic fungi could still be important to cause mortality in newly emerged nymphs that might walk on fungal inoculum. If Bagrada bugs overwinter as eggs in the soil, cultivation can be a tool to reduce their numbers. Some entomopathogenic fungi cause egg mortality in addition to infecting mobile stages. Bagrada bugs have a wide host range and some of their preferred hosts are spread across large areas as wild plants. When these plants dry out, they migrate to crop plants in significant numbers. This is probably why control with pesticide applications alone or using trap crops can be challenging. Some community and home gardeners who tried to use trap crops or traps with alyssum, were able to find large numbers in those crops or traps, but even larger numbers continued to move to crop plants. For a pest like Bagrada bug, exploiting natural enemies appears to be a crucial management tool. Arrangements for foreign exploration of natural enemies are underway. Dara, S. K. 2013. Bagrada bug update: bioassays and a short video. Dara, S. K. 2014. Current status of the invasive Bagrada bug in California: geographic distribution and affected host plants. Dara, S. K. and S. S. Dara. 2013. Bagrada bug host preference: crucifers and green beans. Taylor, M. and C. S. Bundy. 2013. The life history and seasonal dynamics of Bagrada hilaris in New Mexico. Annual meetings of the Entomological Society of America, Austin, TX.